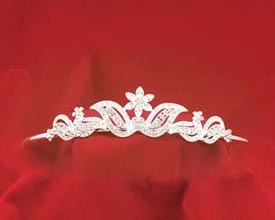 The Floral Tiara features a six-point flower perched upon rhinestone leaves. 1.25" high. Choose a gold or silver metal crown setting.